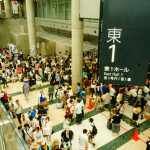 Comic Market | Otaku Crossing!! How to participate in Comic Market? Copyright© Otaku Crossing!! , 2015 All Rights Reserved.